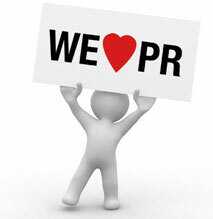 PR is your window to the world – it’s how you build brand, awareness, careers and of course your reputation. No one will ever bang your drum for you, you have to bang your own drum and the louder you bang it, the more people will look up, take note and listen. This is largely the role of your PR agency – it’s our job to bang your drum loudly and frequently, but we need you to help us craft the right message and put it across intelligently with thought and insight: the more commentary, the more press coverage – it’s a pretty straight forward equation. If we get you the leads in the press and you supply us with the content quickly, we get you the publicity. Hey presto – it’s a formula that works every time. Apart from having the right press contacts , which is what your PR agency is there for, the next most important element to successful PR is content. The more you have, the more coverage you get. That said, it has to be interesting, concise, straight-forward and insightful. Always give the reader something useful they can go away with. In IT security, it’s giving an opinion on the situation and then offering a take-away – some pearls of wisdom they can act on from YOU – the industry leader! The next most important piece about PR is timing – the companies that jump on stories first are the ones that win. Speed really is of the essence. This week for example, one of our clients, Proofpoint, came up with a short paragraph responding to the rumour that Dropbox had been hacked; one of their heads of division (who incidentally was at home sick with man-flu) came up with a comment explaining what this vulnerability meant and how users should change their passwords frequently so that they don’t become vulnerable to common hacks. That comment was picked up by the Press Association and appeared 200 times in the press within about 4 hours. What does that mean to Proofpoint? It means that when their sales guys go into a meeting or present at an event, the audience will immediately recognise their name. And when this happens frequently on a day to day basis very quickly, an unknown person becomes an industry leader –a guru in their space – they become the go-to company for intelligent and reliable opinion. Journalists appreciate these opinions in a timely manner – they’re working on a story and they need comments quickly. Another client of mine never spent a penny on advertising, they just relied on us getting coverage in the press – and that was our job to get them as much coverage as was humanly possible, as frequently as possible. That company wasn’t big, they had 2 people in the UK and a small number of people in Europe and the US – but the amount of PR they got made people think they were huge and widely renowned. The company was called Pointsec, part of a Swedish firm called Protect Data – and they were sold for over £500m to Check Point because their reputation and standing was huge. They even got more PR than Check Point! A rapid response is a term we’ve created for responding to stories as they break in the press. We track IT security news throughout the day and previous night in the US and if we think it’s a story that you can comment on, we will send it over to you. We need no more than a paragraph or two giving your opinion on the story, it should be focussed on the issue, not product or company centric. If you can give some practical advice as part of your quote that will go down well, too, and the reader leaves with a constructive take-away after reading your commentary. With so many breaches happening on a daily basis, rapid responses are by far the most popular method for gaining press coverage. The clients who respond quickly are the ones that get the coverage. Journalists often will take 2 or 3 opinions from vendors because it gives them a balanced and unbiased story with opinion from multiple sources. You can expect between 2 – 6 rapid responses a week depending on how many breaches have occurred and then it is up to you whether you feel it’s a story you want to comment on. Unless it is a client or potential client, I would always recommend jumping on rapid responses. We have an 85% success rate with rapid responses which means if we send them to you and you respond with a quote, then they get used 85% of the time. So it’s well worth investing the time to comment. If a blog is interesting we can always pitch this out as an interview piece, or pitch it as a stand-alone piece. A well written blog of around 500 words is very often picked up by the press, so it’s vital to keep writing them as long as they are timely, relevant and thought-provoking. 2) How / why are they being targeted? 3) What are your tips for remediation? Journalists are lazy and if you can write an article for them, they’ll usually take it! But for an article to succeed it needs to be around 1000 words and has to be informative and insightful. Once again offering constructive practical advice that the reader can work with once they’ve read your article. Successful articles cannot be product focused, rather they should focus on current and relevant issues. A well written article can be edited differently to get placed in as many as eight different vertical publications – so it’s well worth investing the time to write articles. If you’ve written a great presentation for a seminar, why not adapt it and get it written up as an article or let the PR agency pitch it out as a potential interview opportunity? It’s all about taking whatever collateral you have and re-purposing it in whatever form we can use to entice the press to write about you. If you think there is an issue that the press may be interested in, let us know. We can write a pitch and sell the story into them or arrange an interview for you. Press are often at events looking for interesting stories and news and face to face contact is always so much more valuable and useful than doing interviews over the phone – so if you’re at event, let us know and we’ll find out if any press are going and we can set up interviews for you there. Again, the content you produce for a webinar can be repurposed and re-used possibly as an article, blog, or media pitch so let us know when you’re doing these and we can see whether the content is reusable. What you may think is normal or commonplace could be incredibly interesting to many others! So if you hear of an interesting hack or a novel breach or have any idea whatsoever that we could turn into content just tell us. You never know, your idea could just turn into a great media story. So with all your hard work what can you gain from PR? It means your family and friends at last will know what you do as a job! In summary, PR is about contacts, content, opportunity, timing, tenacity and perseverance. We have the contacts, you have the brains, expertise and knowledge which equates to great content – together we can work to get the content frequently to the press so that we build up your awareness and brand in the press. The more we give the press, the more they’ll want from you as they’ll see you as a reliable, trusted source. It’s a simple formula – content equals publicity – so let’s get writing and turn you into a company that everyone’s talking about!